Program participants are provided with the tools to improve their ability to define, negotiate, and execute early-stage investments and build effective venture and innovation ecosystem. The program is hosted by Switzerland Global Enterprise and the University of California, Berkeley. 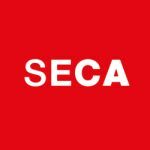 Venture Capital Academy Switzerland is a three-day executive education and certificate program focused on the nuts and bolts of deal making for investors, entrepreneurs of startups and SMEs, enterprises, attorneys, and policymakers. The 2018 VC Academy will be held from August 23-25 at Startup Space in Zurich. Program participants are provided with the tools to improve their ability to define, negotiate, and execute early-stage investments and build effective venture and innovation ecosystem. A version of Venture Capital Academy is hosted twice a year in the heart of Silicon Valley, at the University of California, Berkeley. It is one of the university’s most popular executive education programs, receiving near perfect satisfaction scores. Venture Capital Academy combines a theoretical approach with hands-on learning.